Peter Gabriel in Montreal or Quebec City? 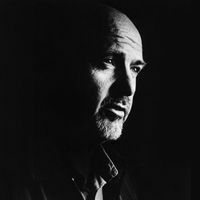 Inform me about the next events for Peter Gabriel. Enroll yourself to our priority waiting list for Peter Gabriel to be alerted when new tickets are available. Filling this form doesn't engage you to any purchase. Peter Gabriel will be performing at the Bell Centre, in Montreal, on July 5th, 2016, alongside Sting ! The Rock Paper Scissors Tour will see both legends joining forces on stage, performing songs from each others in a playful environment. Sting & Peter Gabriel will also be performing at the Festival d'été de Québec on July 7th.